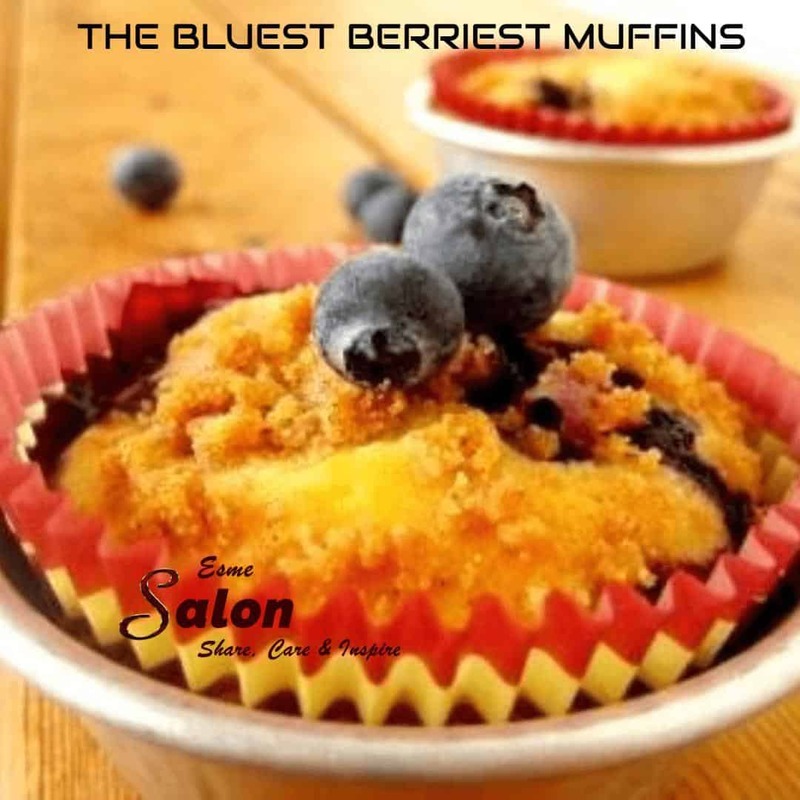 The Sweetest and the bluest berriest muffins ever! Cream butter and sugar. Add eggs, milk, vanilla. Mix well. Stir in dry ingredients until just combined. Fold in blueberries. Fill muffin cups 2/3 full. Sprinkle topping. Bake 180C/375F for 20-25 minutes. Cool 10 minutes. These look simply delicious, Esme.